You are invited to stay in The Pit for 24 hours. Alone, no telephone, no books, no music. With an empty book to write and a camera. Once you are in The Pit by yourself nobody can disturb you. The Pit is a small forest with a fence around it. It is part of the bigger forest of Stichting Nutuur. Stichting Nutuur is founded by Rob Sweere, Hans Jungerius and Kim Lokers. Special thanks to Stichting Veteranen Landgoed Vrijland. 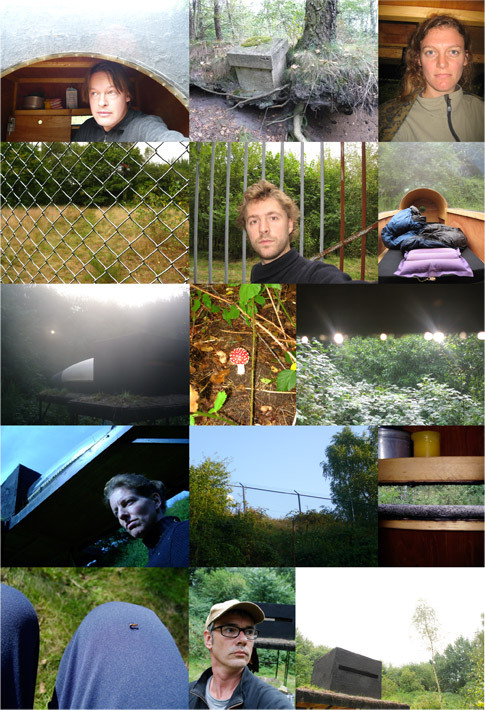 A selection of photo’s made during the 24 hours solo actions of different participants who were staying in The Pit. The Pit is a small forest with a fence around it. 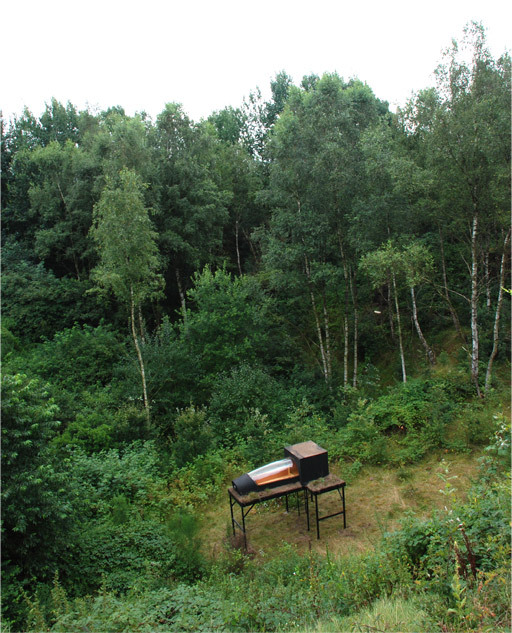 It is part of the bigger forest of Stichting Nutuur. Stichting Nutuur is founded by Rob Sweere, Hans Jungerius & Kim Lokers. Special thanks to St. Veteranen Landgoed Vrijland.